[ARCHIVED THREAD] - VZ Grips. Gunner vs. Frag, Army Green vs. Steel Grey? 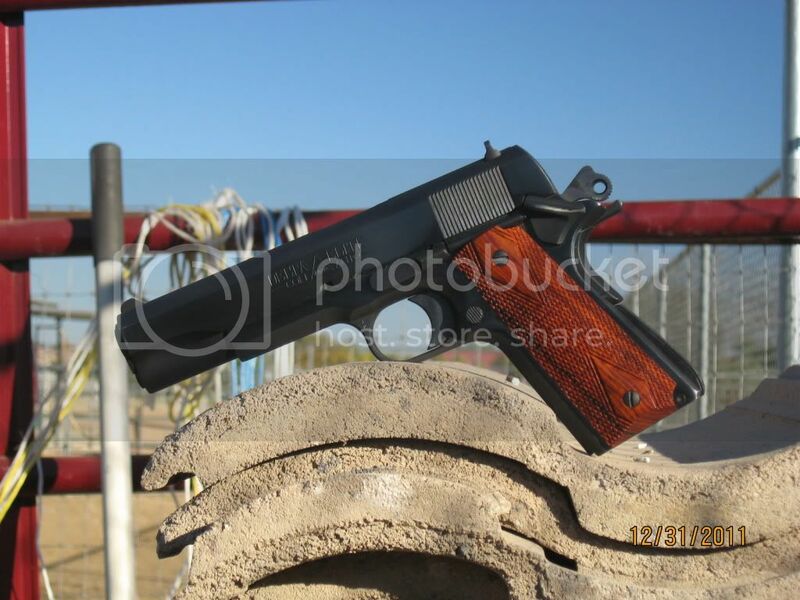 Looking for grips for my Colt O1991. Perfectly blued with polished flats. Im trying to decide which pattern and color. Anyone have pics? Commemts on either pattern? Anyone have a coupon code or used pair? Thx! A blued Colt should have wood. As much as I love my Frags, this is the truth. I'd go military green or dirty olive. My friend has the gunner grips and they are sharp....I like the frags because they aren't as sharp but i get enough grip.....I also like the slim grips. Have you thought of the double diamonds? How about a set of double diamond, elephant ivory? Perfect for a blued 1911 and quite durable plus classy as hell. Nutmeg sports has probably the nicest ivory you will find. Have bought from them several times. Expect to pay $400-600. It is worth it. There are very few things you can do to a gun to make it appreciate in value. Elephant ivory is one. Mine's not as pretty as yours though. I agree that I should leave it alone, but I do want a little more grip out of it. I also prefer micarta over G10 in most cases, so now I'm a little torn between army green G10 gunners or green micarta Diamond Backs. Which is grippier? Their description is a little confusing. Waiting for a 20% off Valentines day sale.